This tutorial shows how to complete the prerequisites for creating a SQL Server Always On availability group on Azure virtual machines (VMs). When you've finished the prerequisites, you have a domain controller, two SQL Server VMs, and a witness server in a single resource group. Time estimate: It might take a couple of hours to complete the prerequisites. Much of this time is spent creating virtual machines. The following diagram illustrates what you build in the tutorial. This tutorial assumes that you have a basic understanding of SQL Server Always On availability groups. 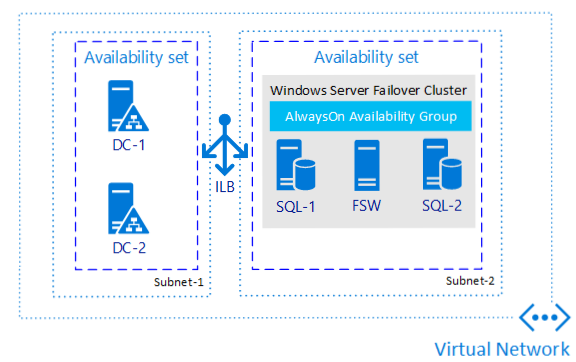 If you're not familiar with this technology, see Overview of Always On Availability Groups (SQL Server). Click + to create a new object in the portal. Type resource group in the Marketplace search window. Under Resource group name, type a name for the resource group. For example, type sql-ha-rg. If you have multiple Azure subscriptions, verify that the subscription is the Azure subscription that you want to create the availability group in. Select a location. The location is the Azure region where you want to create the availability group. This article builds all resources in one Azure location. Verify that Pin to dashboard is checked. 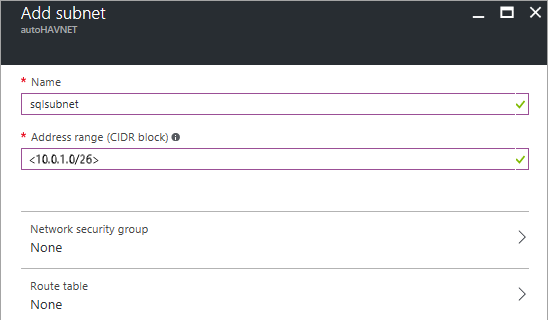 This optional setting places a shortcut for the resource group on the Azure portal dashboard. Azure creates the resource group and pins a shortcut to the resource group in the portal. The next step is to create the networks and subnets in the Azure resource group. The solution uses one virtual network with two subnets. 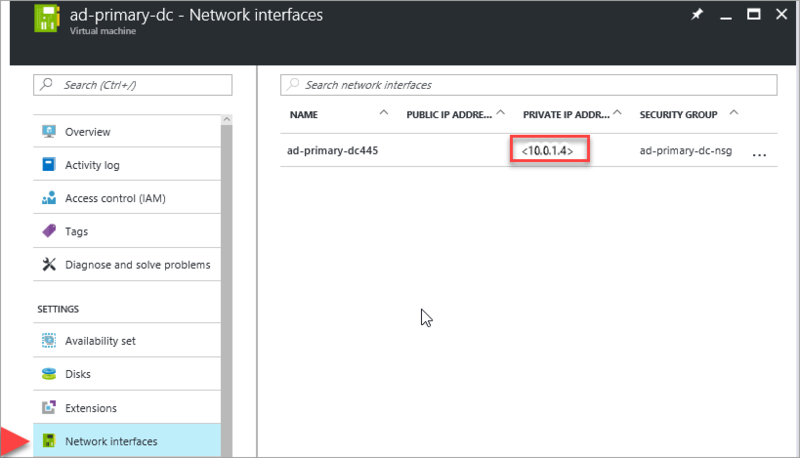 The Virtual network overview provides more information about networks in Azure. 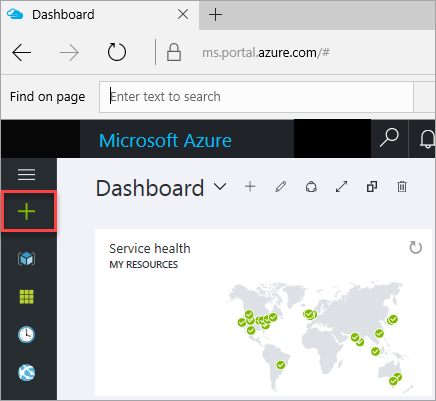 In the Azure portal, in your resource group, click + Add. On the Virtual network, click the Resource Manager deployment model, and then click Create. Subscription Specify the subscription that you intend to use. Subscription is blank if you only have one subscription. Resource group Choose Use existing and pick the name of the resource group. Location Specify the Azure location. Your address space and subnet address range might be different from the table. Depending on your subscription, the portal suggests an available address space and corresponding subnet address range. If no sufficient address space is available, use a different subscription. The example uses the subnet name Admin. This subnet is for the domain controllers. Azure returns you to the portal dashboard and notifies you when the new network is created. On your dashboard, click the resource group that you created, SQL-HA-RG. Locate the network in the resource group under Resources. If SQL-HA-RG isn't visible, find it by clicking Resource Groups and filtering by the resource group name. Click autoHAVNET on the list of resources. On the autoHAVNET virtual network, under Settings select Subnets. Note the subnet that you already created. Create a second subnet. Click + Subnet. On Add subnet, configure the subnet by typing sqlsubnet under Name. Azure automatically specifies a valid Address range. Verify that this address range has at least 10 addresses in it. In a production environment, you might require more addresses. Address space This value depends on the available address spaces in your subscription. A typical value is 10.0.0.0/16. Subnet address range This value depends on the available address ranges in your subscription. A typical value is 10.0.0.0/24. Subnet address range This value depends on the available address ranges in your subscription. A typical value is 10.0.1.0/24. Subscription Specify the subscription that you intend to use. Location Specify the same location that you chose for the resource group. Before you create virtual machines, you need to create availability sets. Availability sets reduce the downtime for planned or unplanned maintenance events. An Azure availability set is a logical group of resources that Azure places on physical fault domains and update domains. A fault domain ensures that the members of the availability set have separate power and network resources. An update domain ensures that members of the availability set aren't brought down for maintenance at the same time. For more information, see Manage the availability of virtual machines. You need two availability sets. One is for the domain controllers. The second is for the SQL Server VMs. To create an availability set, go to the resource group and click Add. Filter the results by typing availability set. Click Availability Set in the results, and then click Create. 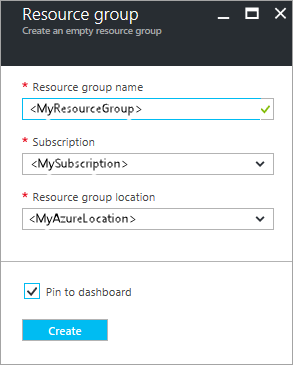 After you create the availability sets, return to the resource group in the Azure portal. After you've created the network, subnets, availability sets, and an Internet-facing load balancer, you're ready to create the virtual machines for the domain controllers. To create and configure the domain controllers, return to the SQL-HA-RG resource group. Type Windows Server 2016 Datacenter. Click Windows Server 2016 Datacenter. In Windows Server 2016 Datacenter, verify that the deployment model is Resource Manager, and then click Create. The ad-secondary-dc virtual machine is optional, to provide high availability for Active Directory Domain Services. Name First domain controller: ad-primary-dc. You can only place a VM in an availability set when you create it. You can't change the availability set after a VM is created. See Manage the availability of virtual machines. Azure creates the virtual machines. After the virtual machines are created, configure the domain controller. 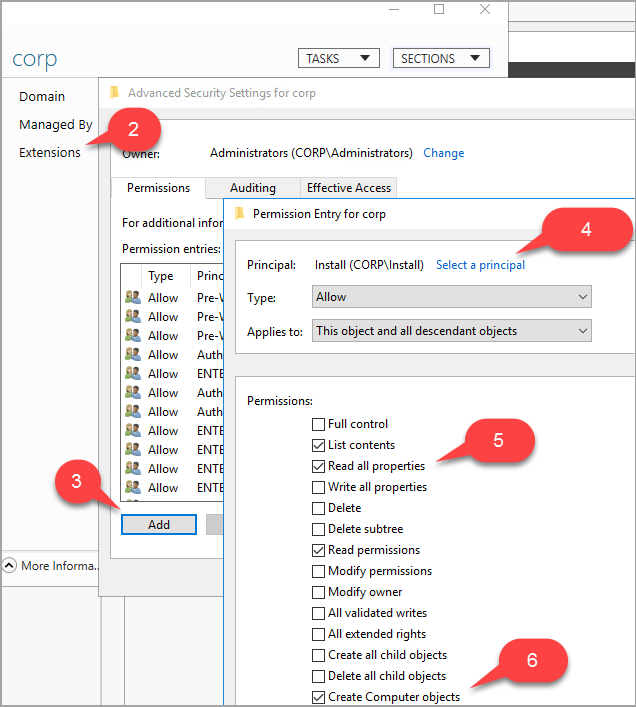 In the following steps, configure the ad-primary-dc machine as a domain controller for corp.contoso.com. In the portal, open the SQL-HA-RG resource group and select the ad-primary-dc machine. 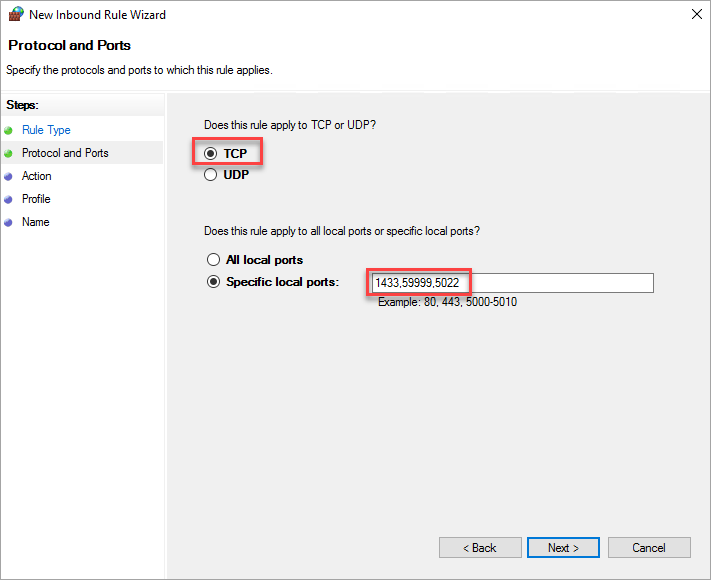 On ad-primary-dc, click Connect to open an RDP file for remote desktop access. Sign in with your configured administrator account (\DomainAdmin) and password (Contoso!0000). By default, the Server Manager dashboard should be displayed. Click the Add roles and features link on the dashboard. Select Next until you get to the Server Roles section. 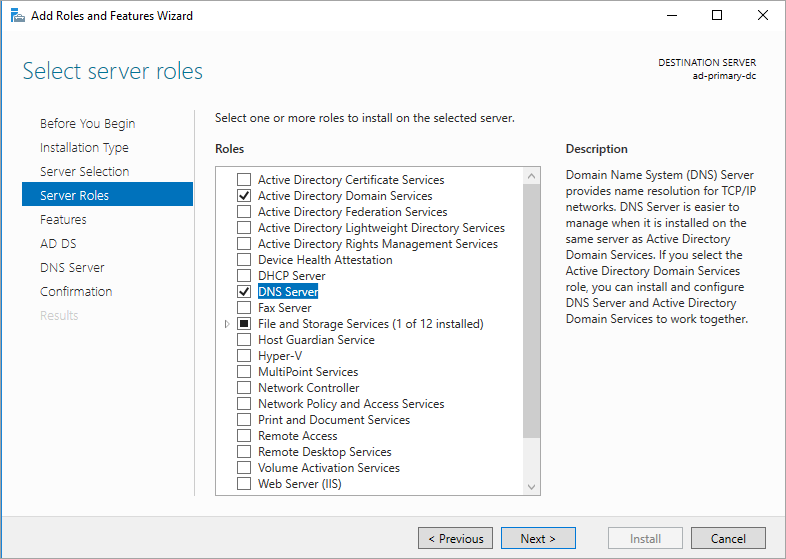 Select the Active Directory Domain Services and DNS Server roles. When you're prompted, add any additional features that are required by these roles. Windows warns you that there is no static IP address. If you're testing the configuration, click Continue. For production scenarios, set the IP address to static in the Azure portal, or use PowerShell to set the static IP address of the domain controller machine. Click Next until you reach the Confirmation section. Select the Restart the destination server automatically if required check box. After the features finish installing, return to the Server Manager dashboard. Select the new AD DS option on the left-hand pane. Click the More link on the yellow warning bar. In the Action column of the All Server Task Details dialog, click Promote this server to a domain controller. Click Next to go through the other pages in the wizard. On the Prerequisites Check page, verify that you see the following message: All prerequisite checks passed successfully. You can review any applicable warning messages, but it's possible to continue with the installation. Click Install. The ad-primary-dc virtual machine automatically reboots. Use the primary domain controller for DNS. Note the primary domain controller IP address. One way to get the primary domain controller IP address is through the Azure portal. On the Azure portal, open the resource group. Click the primary domain controller. On the primary domain controller, click Network interfaces. Note the private IP address for this server. After you create the first domain controller and enable DNS on the first server, configure the virtual network to use this server for DNS. 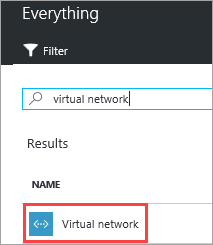 In the Azure portal, click on the virtual network. Under Settings, click DNS Server. Click Custom, and type the private IP address of the primary domain controller. In the portal, open the SQL-HA-RG resource group and select the ad-secondary-dc machine. On ad-secondary-dc, click Connect to open an RDP file for remote desktop access. Sign in to the VM by using your configured administrator account (BUILTIN\DomainAdmin) and password (Contoso!0000). Change the preferred DNS server address to the address of the domain controller. In Network and Sharing Center, click the network interface. Select Use the following DNS server addresses and specify the address of the primary domain controller in Preferred DNS server. Click OK, and then Close to commit the changes. You are now able to join the VM to corp.contoso.com. If you lose the connection to your remote desktop after changing the DNS setting, go to the Azure portal and restart the virtual machine. From the remote desktop to the secondary domain controller, open Server Manager Dashboard. 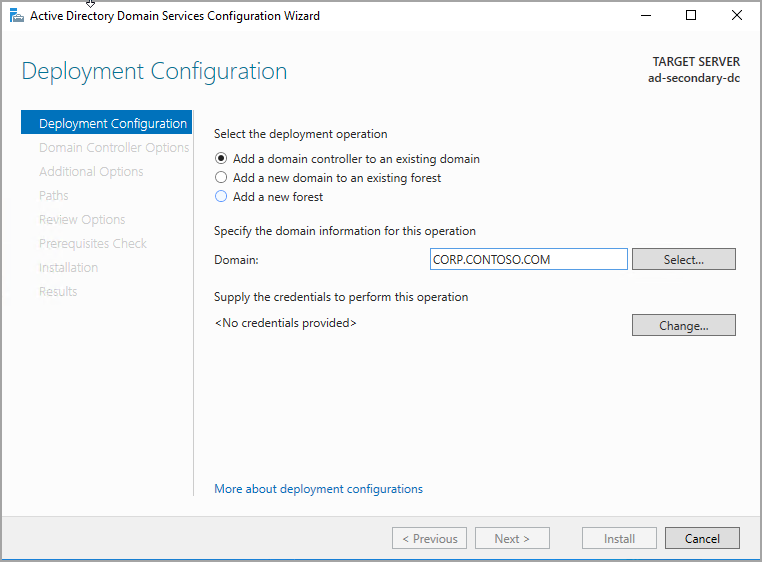 Under Deployment Configuration, select Add a domain controller to an existing domain. Connect by using the administrator account (CORP.CONTOSO.COM\domainadmin) and password (Contoso!0000). In Select a domain from the forest, click your domain, and then click OK. In Domain Controller Options, use the default values and set a DSRM password. The DNS Options page might warn you that a delegation for this DNS server can't be created. You can ignore this warning in non-production environments. Click Next until the dialog reaches the Prerequisites check. Then click Install. After the server finishes the configuration changes, restart the server. In the Azure portal, under virtual network, change the DNS Server to include the IP address of the secondary domain controller. This setting allows the DNS service redundancy. Use the following steps to create each account. Sign in to the ad-primary-dc machine. 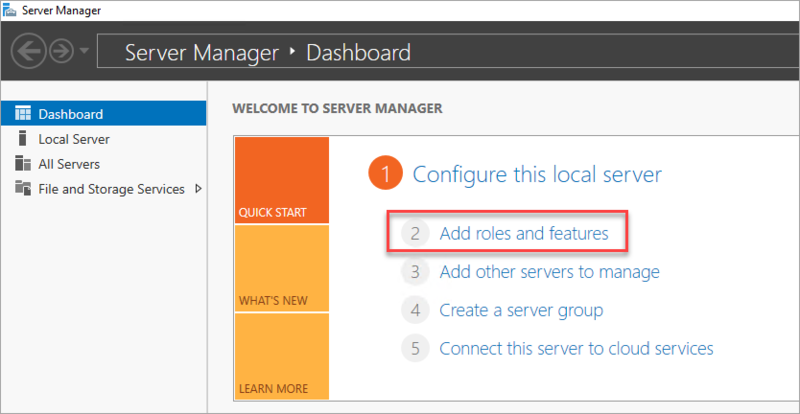 In Server Manager, select Tools, and then click Active Directory Administrative Center. Select corp (local) from the left pane. On the right Tasks pane, select New, and then click User. Set a complex password for each account. For non-production environments, set the user account to never expire. Repeat the preceding steps for each of the three accounts. 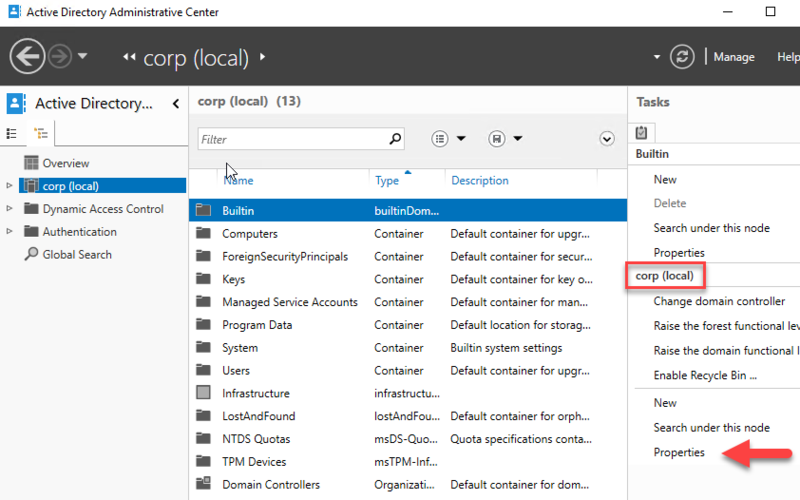 In the Active Directory Administrative Center, select corp (local) in the left pane. Then in the right-hand Tasks pane, click Properties. Select Extensions, and then click the Advanced button on the Security tab. In the Advanced Security Settings for corp dialog, click Add. Click Select a principal, search for CORP\Install, and then click OK. Select the Read all properties check box. Select the Create Computer objects check box. Click OK, and then click OK again. Close the corp properties window. Now that you've finished configuring Active Directory and the user objects, create two SQL Server VMs and a witness server VM. Then join all three to the domain. Create three additional virtual machines. The solution requires two virtual machines with SQL Server instances. A third virtual machine will function as a witness. Windows Server 2016 can use a cloud witness, however for consistency with previous operating systems this document uses a virtual machine for a witness. Before you proceed consider the following design decisions. For the virtual machine storage, use Azure Managed Disks. Microsoft recommends Managed Disks for SQL Server virtual machines. Managed Disks handles storage behind the scenes. In addition, when virtual machines with Managed Disks are in the same availability set, Azure distributes the storage resources to provide appropriate redundancy. For additional information, see Azure Managed Disks Overview. For specifics about managed disks in an availability set, see Use Managed Disks for VMs in an availability set. For the virtual machines, this tutorial uses public IP addresses. A public IP address enables remote connection directly to the virtual machine over the internet - it makes configuration steps easier. In production environments, Microsoft recommends only private IP addresses in order to reduce the vulnerability footprint of the SQL Server instance VM resource. Virtual machine configuration Settings Storage: Use managed disks. Public IP address automatically generated. The machine sizes suggested here are meant for testing availability groups in Azure VMs. For the best performance on production workloads, see the recommendations for SQL Server machine sizes and configuration in Performance best practices for SQL Server in Azure virtual machines. After the three VMs are fully provisioned, you need to join them to the corp.contoso.com domain and grant CORP\Install administrative rights to the machines. Remotely connect to the virtual machine with BUILTIN\DomainAdmin. In the Computer Name section, click Change. Select the Domain check box and type corp.contoso.com in the text box. Click OK. In the Windows Security popup dialog, specify the credentials for the default domain administrator account (CORP\DomainAdmin) and the password (Contoso!0000). When you see the "Welcome to the corp.contoso.com domain" message, click OK.
Click Close, and then click Restart Now in the popup dialog. After each virtual machine restarts as a member of the domain, add CORP\Install as a member of the local administrators group. Wait until the VM is restarted, then launch the RDP file again from the primary domain controller to sign in to sqlserver-0 by using the CORP\DomainAdmin account. Make sure that you sign in with the domain administrator account. In the previous steps, you were using the BUILT IN administrator account. Now that the server is in the domain, use the domain account. In your RDP session, specify DOMAIN\username. In Server Manager, select Tools, and then click Computer Management. In the Computer Management window, expand Local Users and Groups, and then select Groups. In the Administrators Properties dialog, click the Add button. Enter the user CORP\Install, and then click OK.
Click OK to close the Administrator Properties dialog. Repeat the previous steps on sqlserver-1 and cluster-fsw. On each SQL Server VM, set the SQL Server service account. Use the accounts that you created when you configured the domain accounts. Right-click the SQL Server service, and then click Properties. Set the account and password. Repeat these steps on the other SQL Server VM. For SQL Server availability groups, each SQL Server VM needs to run as a domain account. Connect to the server through the Remote Desktop Protocol (RDP) by using the <MachineName>\DomainAdmin account. Open SQL Server Management Studio and connect to the local instance of SQL Server. In Object Explorer, click Security. Right-click Logins. Click New Login. In Login - New, click Search. Enter the domain administrator network credentials. Set the sign-in to be a member of the sysadmin fixed server role. Repeat the preceding steps on the other SQL Server VM. Connect to the SQL Server virtual machine through the Remote Desktop Protocol (RDP) by using the CORP\install account. Open Server Manager Dashboard. Select Next until you get to the Server Features section. In Features, select Failover Clustering. Add any additional required features. Click Install to add the features. Repeat the steps on the other SQL Server VM. This step, along with actually joining the SQL Server VMs to the failover cluster, can now be automated with Azure SQL VM CLI and Azure Quickstart Templates. Port 1433 for a default instance of SQL Server. Any available port. Examples frequently use 59999. Any available port. Examples frequently use 5022. The firewall ports need to be open on both SQL Server VMs. The method of opening the ports depends on the firewall solution that you use. The next section explains how to open the ports in Windows Firewall. Open the required ports on each of your SQL Server VMs. On the first SQL Server Start screen, launch Windows Firewall with Advanced Security. On the left pane, select Inbound Rules. On the right pane, click New Rule. For Rule Type, choose Port. On the Name page, specify a rule name (such as Azure LB Probe) in the Name text box, and then click Finish. Repeat these steps on the second SQL Server VM.